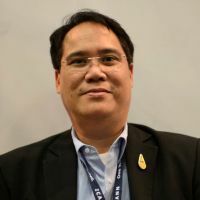 Wanawit Ahkuputra is the Deputy Executive Director for the Electronic Transactions Development Agency of Thailand (ETDA). He has held that position since July 2012. He is also a member of GAC. Mr. Wanawit is the product localization and business plan expert, especially in the area related to Smart Card, PKI, Mobile Application, Unicode Language issue.